Vasari, a leading consumer focused investment group has completed the acquisition of South African wine and spirits producer KWV Group’s operational assets for ZAR1.15 billion. The acquisition, announced in May 2016 was finalised after securing overwhelming shareholder support and a nod from the South African Competition Commission. While Imerman is dead keen on fortifying the operational capacity of KWV’s sprawling production facilities, barrels of stock and award winning brands, the SA-born entrepreneur is not interested in the company’s ‘unproductive’ assets. This means KWV will, for now, hang onto its investment properties like Laborie and La Concorde in Paarl, as well as a stunning art collection comprising a wide selection of top local artists. Although it’s virtually impossible to officially value the heritage assets via the KWV balance sheet, a price tag of around R250m has been placed by market watchers on the collective ‘heritage assets’. So what will happen to these valuable assets? KWV is controlled by Niveus Investments, which – in turn – is controlled by empowerment giant Hosken Consolidated Investments (HCI.) 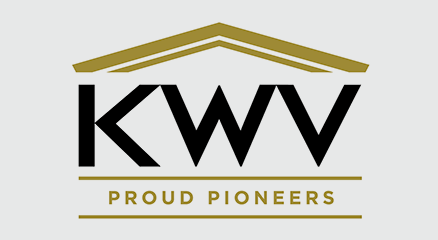 Minority shareholders that make up around 40% of KWV’s issued shares are unlikely to want to hold shares in a company comprising a massive cash pile and heritage assets that generate no revenue. Consequently, speculation is rife that KWV could pay an initial special dividend to its shareholders, after which HCI/Niveus may be tempted to make an offer to buyout the minority shareholders. Another option is for KWV to commit to paying out the proceeds of the Imerman acquisition – settled on a staggered basis – to shareholders. This may also entail a commitment to sell off the legacy assets. HCI – which has a growing property portfolio – could conceivably make an offer to acquire Laborie and La Concorde. Or the buyout offer could be pitched by Niveus, which has a broad leisure slant via its interests in gaming assets. The art works could be sold piecemeal – depending on demand for specific local artists – or sold on auction. HCI/Niveus make an honourable exit from KWV via the Imerman deal, having acquired around 33% of KWV (from PSG controlled Zeder) at around R11/share in 2011 and then increasing its stake to 57% by buying shares at far lower price levels in recent years. The Imerman offer equates to around R17/share with another R4/share attached to the remaining heritage assets.